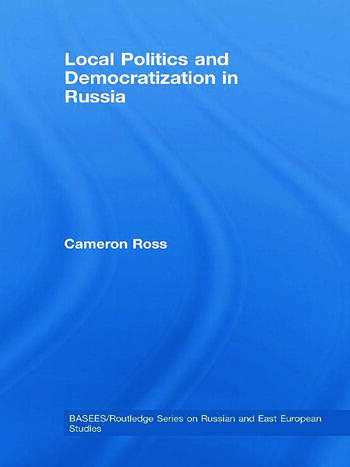 This comprehensive study of local politics in Russia shows that the key reforms of local government, and the struggle to forge viable grassroots democracies have been inextricably linked to the wider struggle for power between the regions and the Kremlin, and to the specific nature of Russia’s highly politicized and negotiated form of asymmetrical federalism. During the Yeltsin era all attempts to create a universal and uniform system of local-self-government in the federation were a failure. Under the protection of their constitutions and charters, and the extra-constitutional rights and powers granted to them in special bilateral treaties, regional leaders, particularly in Russia’s 21 ethnic republics were able to instigate highly authoritarian regimes and to thwart the implementation key local government reforms. Thus, by the end of the Yeltsin era the number of municipalities, their type, status and powers, varied tremendously from region to region. Putin’s local government reforms also need to be viewed as an integral component of his wider centralizing political agenda, and his assault on the principles and practices of federalism. With the instigation of his ‘dictatorship of law’ and ‘power vertical’, Putin has thwarted the development of grassroots democracy and overseen the creation of local ‘electoral authoritarian’ regimes. Putin’s new system of local self-government marks a victory for the proponents of the ‘statist concept’ of local self-government over those who championed the ‘societal concept’, codified in Article 12 of the Russian Constitution. Overall, this book is an important resource for anyone seeking to understand politics in Putin’s Russia. Cameron Ross is a Reader in Politics in the College of Arts and Social Sciences, University of Dundee. He has published widely in the field of Russian politics, particularly in the areas of regional and local level politics. His most recent books are: Regional Politics in Russia (MUP, 2002), Federalism and Democratisation in Russia (MUP, 2003) and Russian Politics under Putin (MUP, 2004).